Students in the health sciences programs at WSU Spokane will enter into professions that serve the community. But instead of waiting until graduation, they can go into the community during the school year and serve through Cougs in the Community, an initiative that began in August. 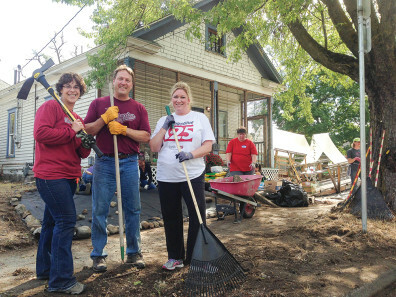 Cougs in the Community offers ways for students, as well as faculty and staff, to engage in community service volunteer opportunities. With similar models already in place at WSU Tri-Cities and WSU Vancouver, and as WSU Spokane grows into a leading health educator in the region, it was time to get on board. The initiative is still young but volunteers have already participated in a handful of events. In September, Cougs in the Community joined other organizations as part of the United Way of Spokane County’s “Day of Action.” WSU Spokane staff members assisted an elderly woman in the East Central neighborhood with yard work. Also in September, students, staff and some family members joined with The Lands Council for its annual river cleanup project. 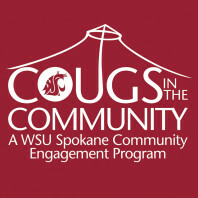 And coming next April, Cougs in the Community plans to be involved with the city’s “Spokane Gives” initiative. “The short-term goals are all about building relationships and providing the students the chance to go beyond the traditional academic experience,” Spencer said, adding that many students aren’t yet aware of all the opportunities to volunteer and work with nonprofit organizations in the area. WSU Spokane educates our future health care workforce. Rather than training students to simply treat symptoms of diseases in their patients, Cougs in the Community aims to expand upon the classroom lessons of patient-centered care, empathy and diversity awareness to help them understand and experience social and environmental factors that can lead to poor health. 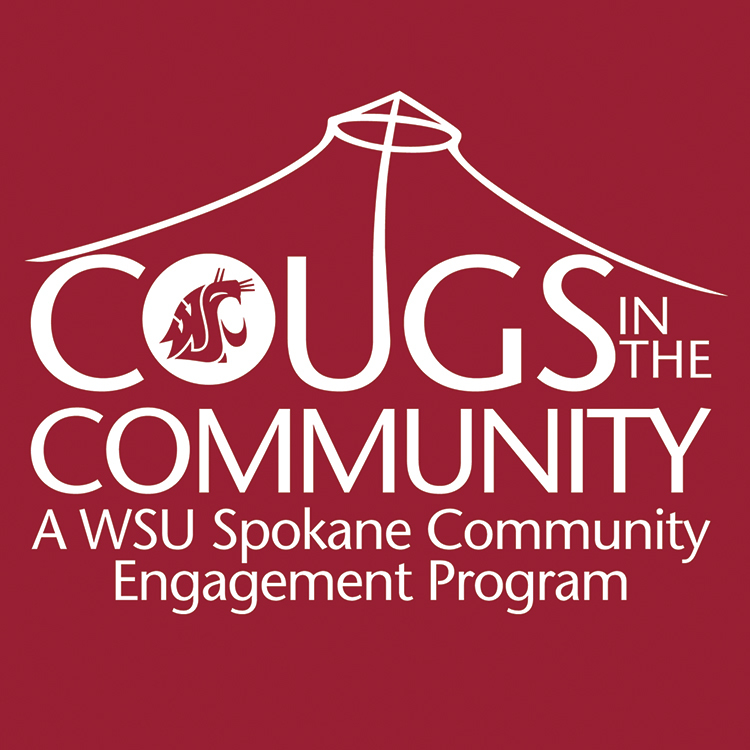 This school year, Cougs in the Community will focus on the East Central neighborhood as part of The Smith-Barbieri Progressive Fund’s University-Community Partnership grant to reduce children’s health disparities. The neighborhood is located immediately southeast of the WSU Spokane campus. Bringing health sciences students to the East Central neighborhood will give them a glimpse at the causes of many of the medical issues they will soon be treating. 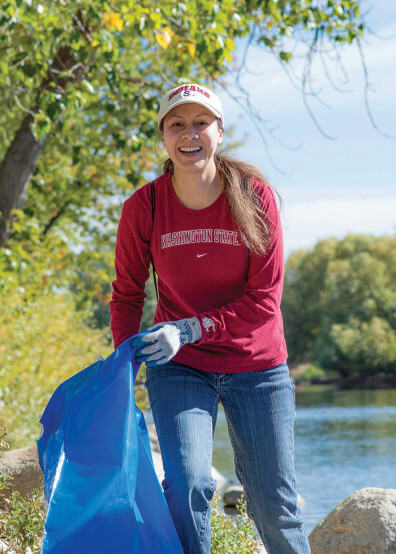 Students who are part of Cougs in the Community will also be creating a healthier Spokane.